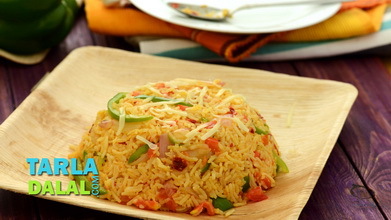 This cheesy baked rice is surely a big hit for parties. . Rice cooked in butter gives a very nice taste and aroma to this recipe. . 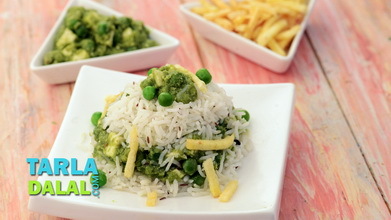 Vegetables with rice and cheese baked to perfection is definately a filling meal. 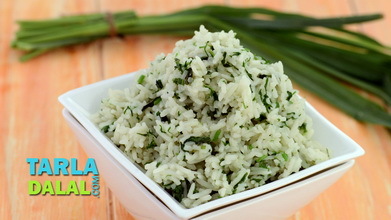 Heat the butter in a broad non-stick pan, add the rice, milk and salt, mix well and cook on a medium flame for a minute. 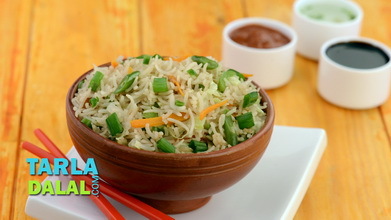 Mash the butter-rice mixture using a potato masher and cook on a medium flame for another 1 to 2 minutes. Keep aside. Heat the butter in a broad non-stick pan, add the onions and sauté on a medium flame for 1 to 2 minutes. Add the plain flour, mix well and sauté on a medium flame for 1 more minute. 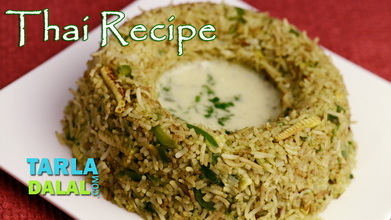 And the green chillies and milk, mix well and cook on a medium flame for 2 to 3 minutes, while stirring continuously. Add the salt and pepper, mix well and cook on a medium flame for another 1 minute, while stirring continuously. 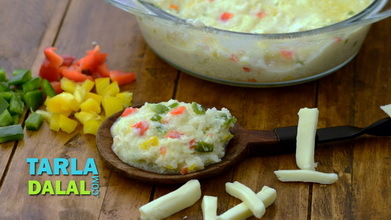 Add the mixed vegetables and cheese, mix well and cook on a medium flame for 1 to 2 minutes, while stirring continuously. Just before serving, put the prepared butter-rice mixture at the bottom of a 150 mm. (6”) baking dish, and spread it evenly with the back of a spoon. Pour the vegetable sauce on top and spread it evenly with the back of the spoon. 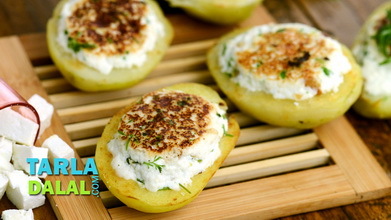 Sprinkle cheese on top and bake in a pre-heated oven at 200°c (400°f). For 15 to 20 minutes. 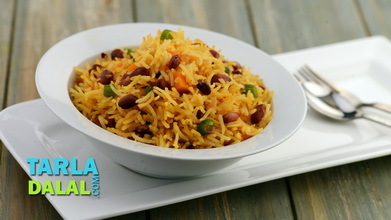 Before layering and baking, if the rice and the vegetable sauce is a little dry, add 2 tbsp of milk to it and mix well.